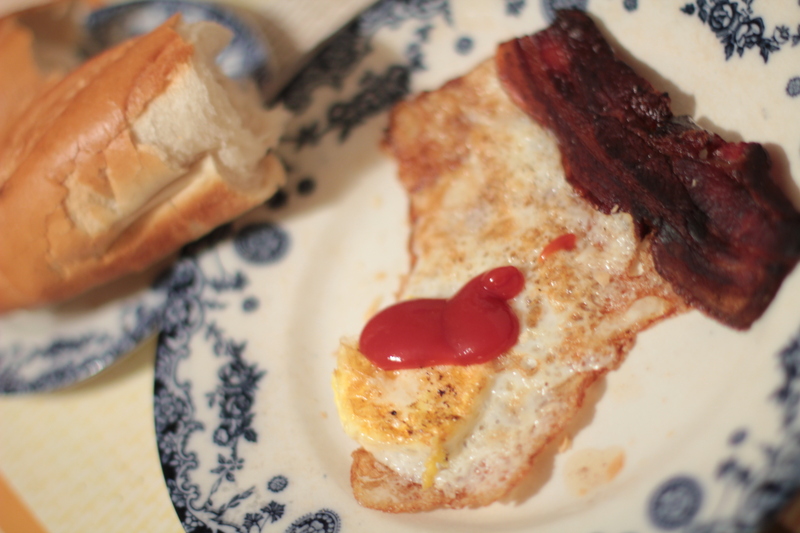 Fast and Furious Munchies: Slow Cooked Rasher with Free Range Fried Egg. You can’t always be pedantic about food! Now approaching midnight and only things in sight in the fridge are a rasher of bacon and a free range egg. Oh! and a frozen baguette in the freezer. Perfect! 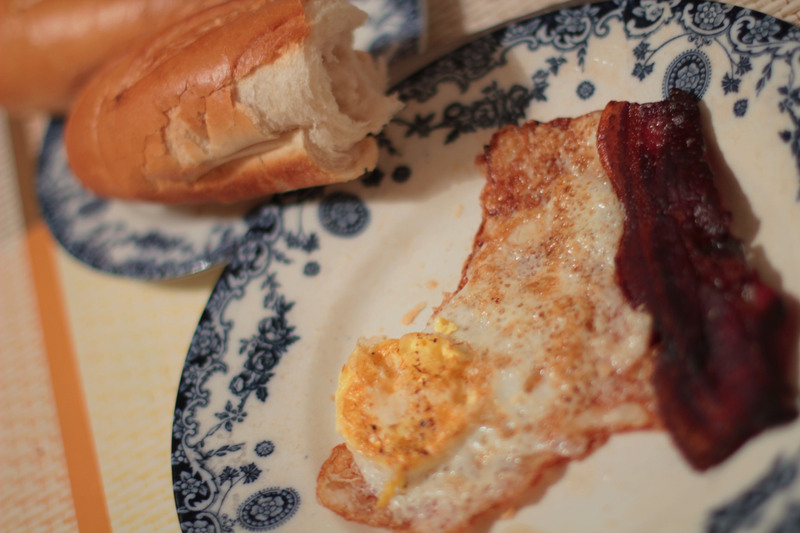 Place rasher in frying pan and warm up gently without any oil. The fat will ooze out and when it starts to get a bit too dry add a drop of sunflower oil and turn over. Let it cook slowly until nicely crispy. Add egg and if required a bit more oil (depending on frying pan). Meanwhile the baguette is warming in the oven. Combine with some Mayor Ketchup, or, if unavailable, Heinz. Wash down with a nice Medoc.